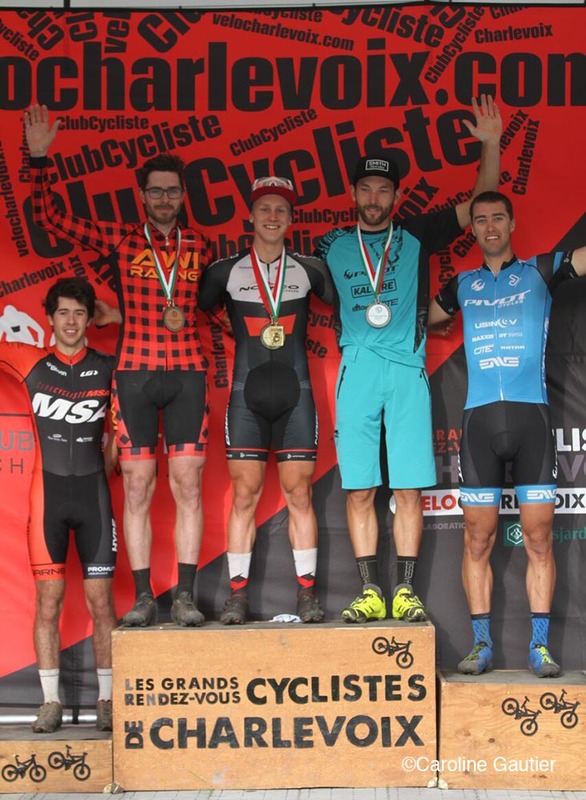 Round 3 of the Canada Cup XCO series saw new winners in all four categories at Baie-St-Paul, Quebec. In the overall standings, all leaders going into the third round kept their leaders' jerseys. Baie-St-Paul, one hour east of Quebec City on the shores of the St Lawrence river, played host to the national championships last year. The circuit offers a mix of single and double track, with a long climb at the start of each lap. Sidney McGill (Focus CX Canada), the overall leader in Junior Women heading into the race, took her first win of the season, after finishing second and third in the first two rounds. Dana Gilligan (Team Ontario) was second and American Savilia Blunk (US National) third. McGill now has 255 points to Gilligan's 200 in the overall standings. In the Junior Men's competition, Brody Sanderson (Centurion Next Wave) had his first Canada Cup win of the season, moving him up to second in the overall standings with 198 points. Holden Jones (Cycling BC), winner of Round 2 continues to lead the standings with 230 points after finishing third in Baie-St-Paul. 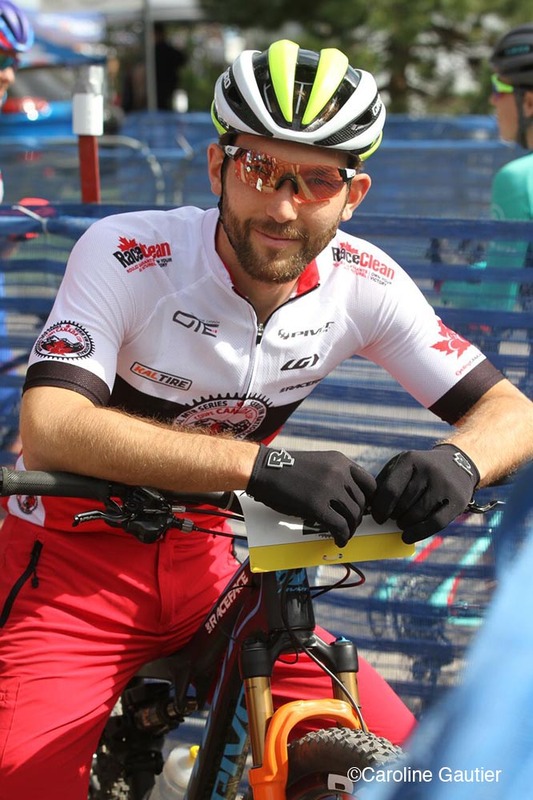 Braydn Lange (US National) was second in his first Canada Cup race of the season. 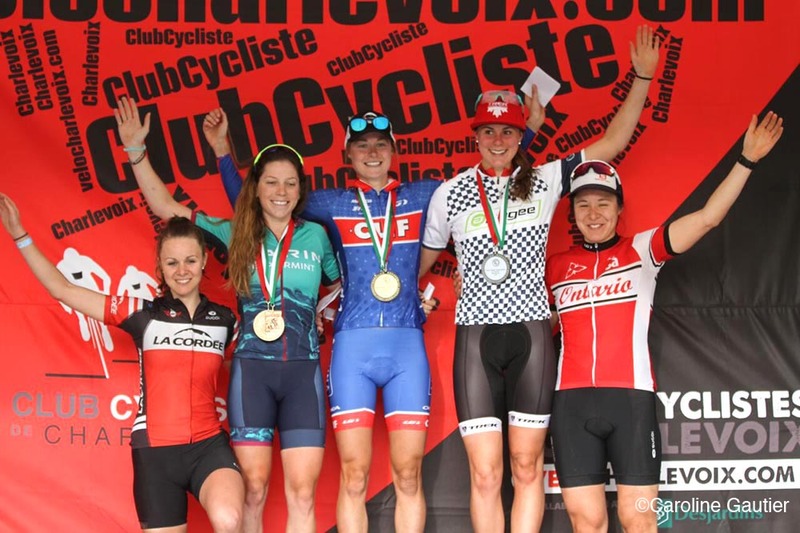 In the Elite Women, Maghalie Rochette (Clif Pro Team), the national cyclo-cross champion won in her first Canada Cup race of the year, followed by Soren Meeuwisse (Trek Canada) and Rebecca Beaumont (Marin X Peppermint). B.C. rider Jayne Rossworn, winner of Round 2, continues to lead the overall standings with 425 points, followed closely by Meeuwisse with 410 points. In the Elite Men's competition, Under-23 rider Quinton Disera (Norco Factory) was winning in Quebec on the same day his older brother Peter was finishing third in a World Cup in Germany. Round 2 winner Evan Guthrie of B.C. finished second, with Davis Ross (AWI Racing) finishing third. Guthrie continues to lead the standings with 495 points, while Quinton Disera moves into second place with 450 points. "The course was almost the same as last years Nationals," said Disera, "but it felt like it was riding faster and smoother and my Norco Revolver FS was sucking up the course! The course played into more of my style with about five climbs spaced out and they were all steep and pretty punchy, which I like. The whole day started off well with hearing news about Peter finishing third at Albstadt! So that was extra motivation and set the tone." "Evan Guthrie was riding a strong race out in front, where I was about 5-20 seconds off of him the whole time. Sadly, at the end of the fourth lap he got a front flat and had to get a wheel change and that was where I got my gap to hold onto the top spot in the last lap." "Being first year U23 and winning a Canada Cup is exciting and a big confidence booster, knowing that all the time I have put in with my coach Adam Morka is paying off. I'm super excited to battle it out again in the next round of Canada Cups close to home!" 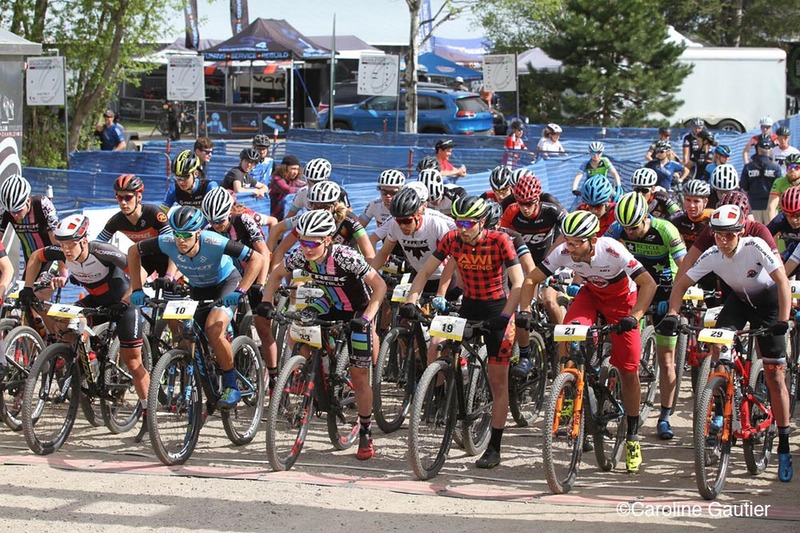 The XCO Canada Cup continues over the next two weekends with back-to-back races in Ontario. 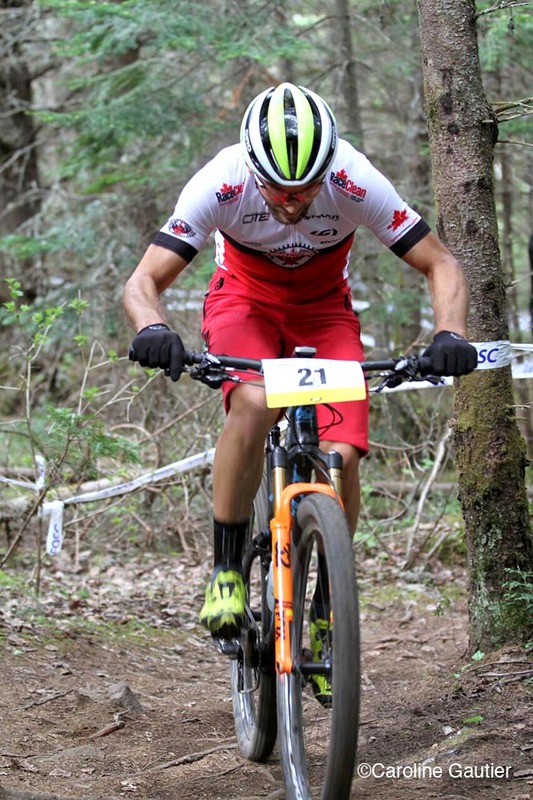 Baie-St-Paul is located in the Charlevoix region of Quebec and continues to support Canadian mountain bike racing. 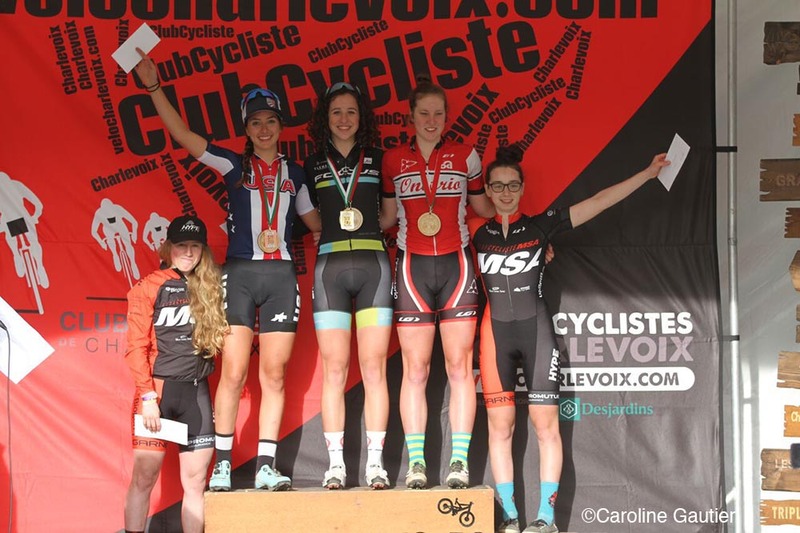 In 2016 the event held the cross-country National Championships and for this season Velo Charlevoix was back hosting round three of the Canada Cup series. The course is known for its raw and natural terrain, littered with roots, rocks and undulating trails that make it one of the most physically demanding courses on the circuit. Without precise line choices and efficient use of energy, the course can deal out mechanicals and leave riders utterly exhausted. The Canada Cup pre-race meeting is usually the most anticipated of the season for coaches, managers and mechanics, with the local craft beer and cheese selections. The course was exactly the same as the National Championships last season and the conditions were dry as can be, barring one puddle in the course. 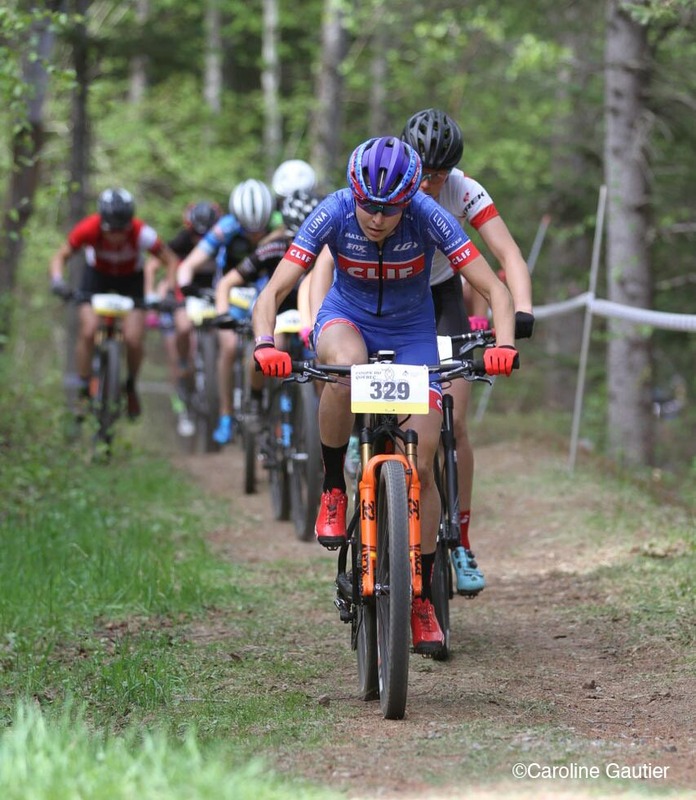 The organizers always go the extra mile to add a UCI race on the Sunday, giving athletes more than once chance to snag world ranking points, and for non-UCI racers to chase Quebec Cup points. 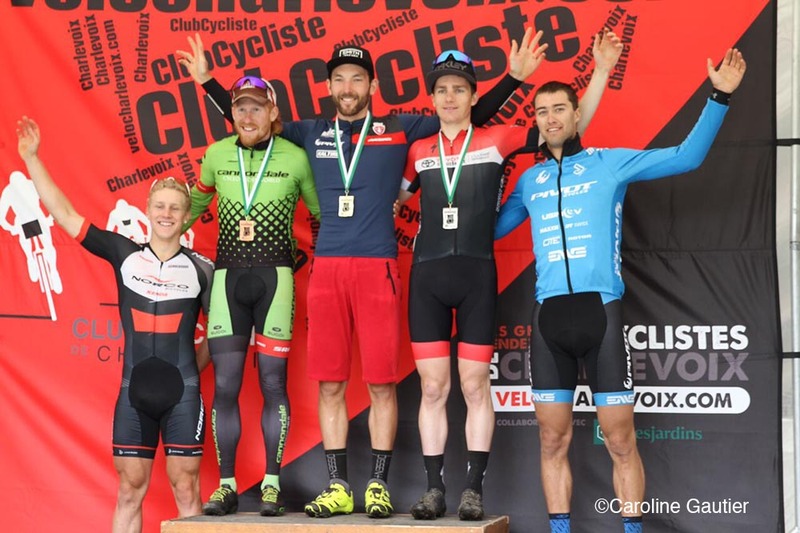 The XCT time trial format that took place on Sunday is one discipline we're not too familiar with outside of the Quebec Cup series, as this event has featured the better-known STXC short track race in the past few editions. The course was a 9 km loop that saw riders start in 30 second intervals based on the previous day's Canada Cup and Quebec Cup finishes. Evan commented: "Baie-St-Paul is another fantastic event in Quebec that always has first-class organization. At this race I saw my first elite Canada Cup podium in 2011, so it's always a special one to me and this weekend was my first time toeing the line in the Canada Cup leader's jersey - I wanted to do that jersey proud." "Unlike last week, I started harder and tried to get out of the group early and just ride my rhythm. Things were going fantastic and I was coming through with one lap to go and heard that hissing out of the front tire that we all dread. A quick tire plug allowed me to milk it to the pits and get a fast wheel change, but not without loosing the lead. I chased Quinton Disera and just couldn't get those precious seconds back and ended second. Hats off to Q, he was strong!" "It was incredibly frustrating as I came to win both these races but we did have a "second chance" in the UCI race Sunday. I know the fitness is there and I've been working harder than ever with my new coach Richard Wooles from Peak & Valley Coaching, so Sunday was just a matter of taking out the frustration in watts, using the fitness and having a little luck, which worked out and I was able to snag the win." "I also want to note how proud I am to be a Canadian racer this weekend. We shared success is many disciplines that were highlighted with Peter Disera's third at the U23 World Cup in Germany and Leandre Bouchard's career-best 16th in the Elite men, plus Andreane Lanthier-Nadeau's third in the Ireland EWS and Michael Woods' thrilling Giro completion."